Home Unlock ZTE How to Unlock ZTE MF730M? Unlock code of ZTE MF730M dongle is now available. Means, if the device is asking for SIMlock / NCK after changing the SIM card, then it can be unlocked easily. Once, MF730M modem is unlocked, you can use it with any carrier SIM card. Unlocking is one-time work, means every time you will change the SIM card there is no need to insert the unlock code again and again. Once the modem is unlocked, you can use it worldwide with any network. 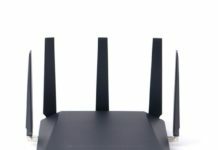 How to Unlock ZTE MF730M Modem? 1. Remove ZTE MF730M from PC, if already connected.Change the default SIM card with any another network provider and connect MF730M to PC. 2. Change the default SIM card with any another network provider and connect MF730M to PC. 3. Let it install the drivers and software. 4. It will automatically open the ZTE WebUI / connection manager and will ask you for SIMlock / NCK code. 5. Enter the correct SIMlock / Unlock code and click OK.
6. Now your ZTE MF730M is unlocked forever. Just create a new profile according to the SIM card and connect to the internet. To generate the unlock code we only need the correct IMEI of the modem, means the model of the device is not required. Once the order is placed, it will go to ZTE server and will pick the correct unlock code for your IMEI. Next articleHow to Unlock ZTE nubia Z17 miniS?